IMPORTANT NOTE: The temporary password will expire in 48 hours or after first use. Please wait at least 30 minutes to two hours for your temporary password to activate once you have received it from the Help Desk. ITS Help Desk DOES NOT recommend using a mobile phone when attempting to login using your temporary password. 1. 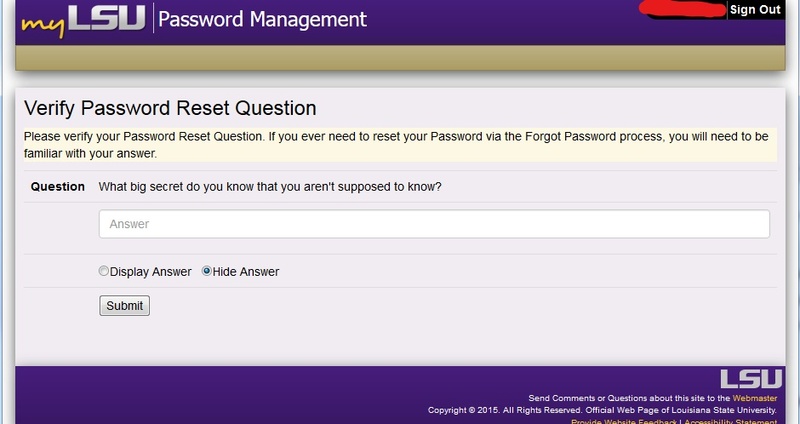 Enter your myLSU username as well as the temporary password into the myLSU portal. 2. 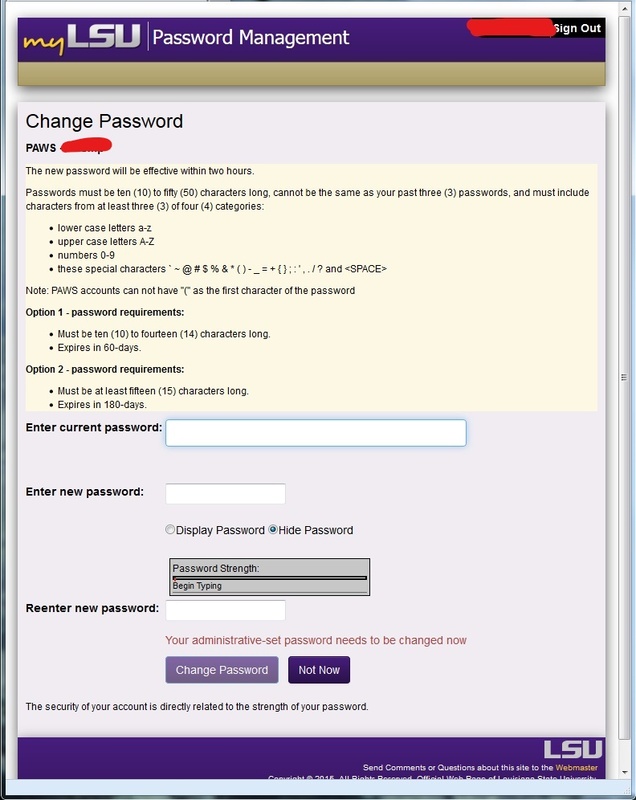 Enter your TEMPORARY PASSWORD in the Current Password text field, and then enter your new password in the following two text fields (Enter new password and Re-enter new password). When finished, click Change Password. ** IMPORTANT. Once you have created your new password, please wait at least 1 hour before attempting to log back in. Clearing out your cookies and cache during the wait can often fix any sign in issues. This removes previously stored login data which may cause problems when attempting to login with the new password. Instructions for this method can be found by visiting GROK article 9980.